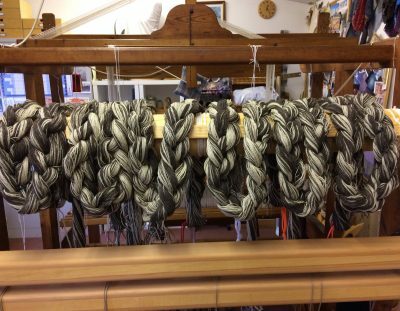 Find out more about the things I've been doing recently ranging from exciting new commissions to visits to weavers all over the world. Whether you are a complete beginner wanting to learn something about weaving, or maybe you have some experience and want to learn about some different aspects of weaving in some depth, I probably have a course for you. My one-to-one or one-to-two workshops are designed for those people who like the personal touch or who prefer not to work in groups. 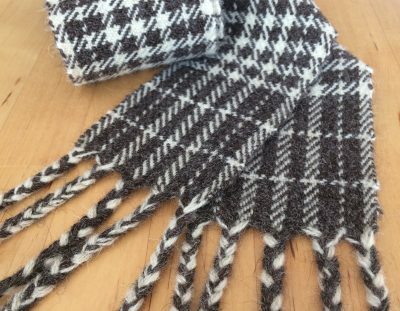 One of my recent commissions was to weave a Shepherd’s Plaid, a traditional garment specific to Northern England and Southern Scotland. 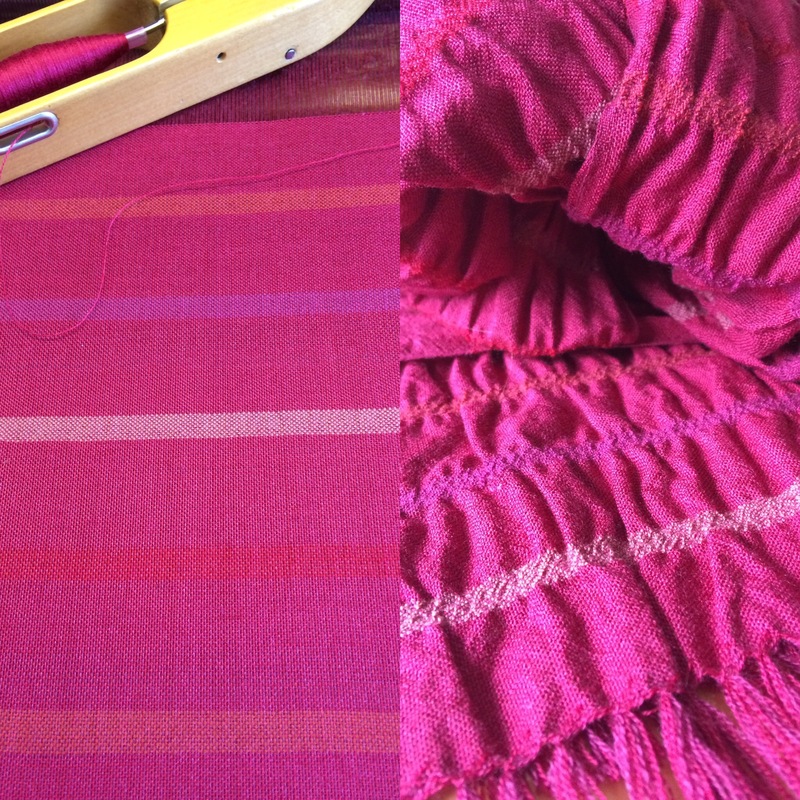 Working from my garden studio in the beautiful Scottish Borders, my work ranges from stunning silk and linen scarves, wraps and fabric lengths to interior textiles such as cushions, throws and curtain lengths. When I set up Flight Weaving, I wanted to focus on my own weaving where I produce exciting commissioned pieces as well as limited runs of pieces for sale. 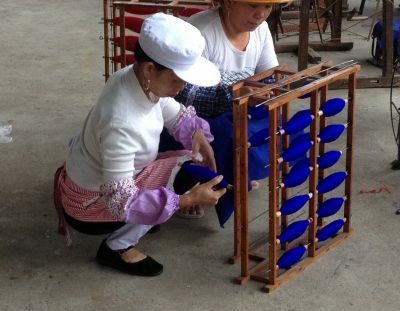 But as well as working on my own designs, I also find it tremendously fulfilling helping both skilled and less experienced weavers learn new techniques and approaches. 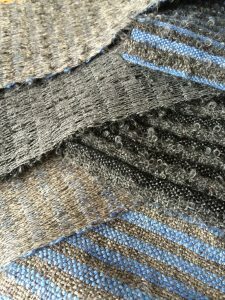 In this website you'll be able to read about the yarns and fabrics I work with and some of the pieces I create; you can find my work for sale in my Etsy shop FlightWeaving. 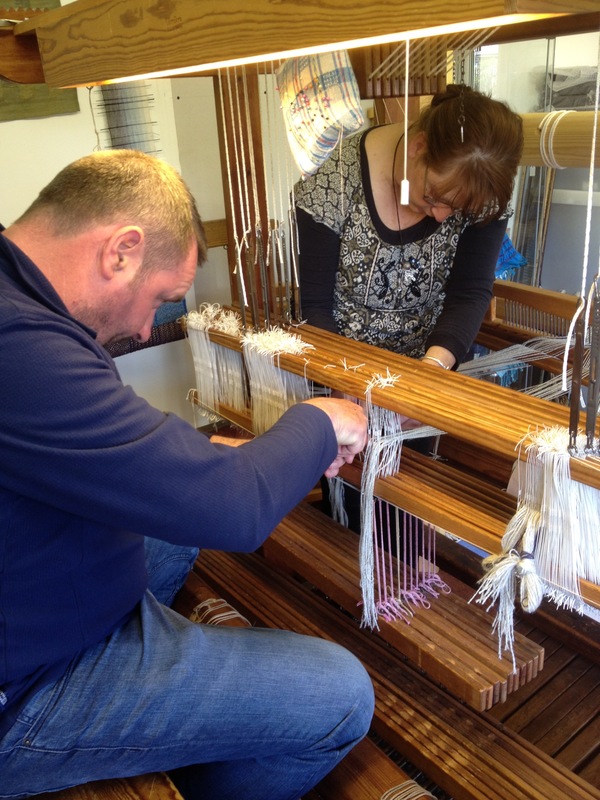 You'll also be able to find out about the weaving courses I run for groups and for individuals. 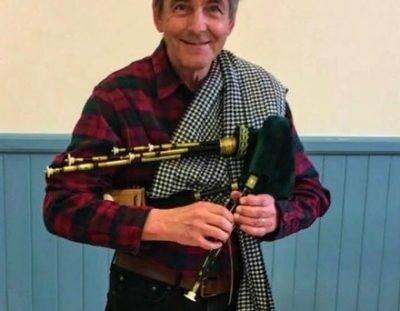 An interpretation of a traditional celtic crios featuring a classic Northumbrian Tartan. Weaving the Shepherd's Plaid was incredibly hard work but immensely satisfying. In 2014 I had a fantastic trip to Yunnan in China, and experienced a wonderful time with the weaving ladies of the village. 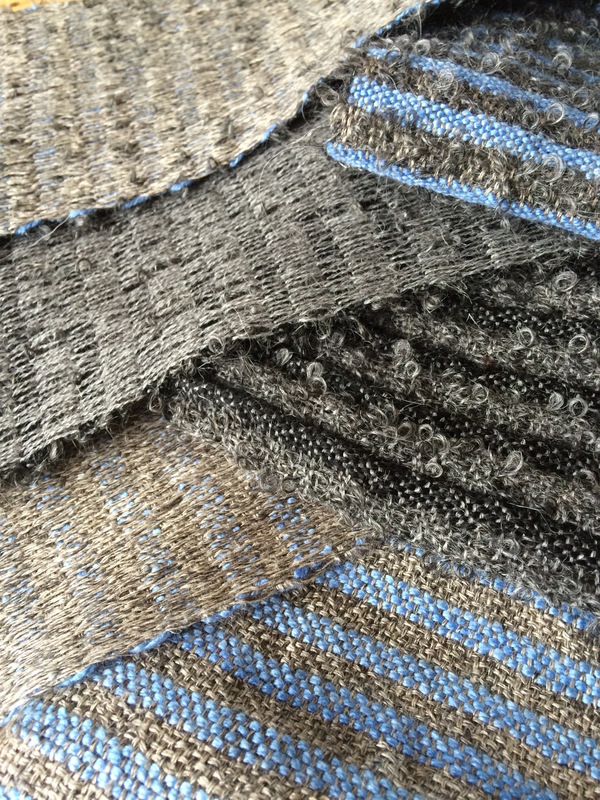 My own weaving takes much inspiration from the weaving traditions that abound in the Scottish Borders. It would be difficult for a weaver in this area not to be nudged in traditional directions. Where I differ though is in the selection of yarns and fabrics which are somewhat removed from the wool based industry of the area. I lean much more towards finer yarns of silk and linen which result in fabrics with a distinct and luxurious feel and appearance. That's not to say I won't work with wool! I have been particularly pleased with the result of one commission that you can read about here, not least because of the learning and research I had to commit to in order to complete the piece. All of my fabric designs are available for purchase and can be made to order, please contact me to discuss your ideas. You can also buy my ready-made work from my Etsy shop FlightWeaving. Bespoke fabrics are also available and I would be really pleased if you wanted to discuss commissioning some individual pieces from me. As well as working on my own designs, I also offer courses in weaving. Whether you are a complete beginner wanting to learn something about weaving, or maybe you have some experience and want to learn about some different aspects of weaving in some depth, I probably have a course for you. You can either join a group weaving course, or we can arrange something more personal just for you. If there's a larger group of you, maybe a community group, Womens' Institute or craft group, I have some special activities based on weaving techniques that don't require specialist equipment.